Upon arrival at the winery, the freshly harvested grapes are sorted. This may be a manual or mechanical operation, or a combination of both. The fruit is examined and checked for impurities, such as unripe or rotten berries. Such unwanted grapes are discarded before the good grapes pass to the next phase. Next, the winemaker will usually destem and crush the fruit. Neither step is mandatory, though many modern wineries have a machine which can do both. Destemming involves removing the stems from the bunches of grapes. Crushing involves breaking the grape skins and gently releasing some of the juice, known as free-run juice. This process should be gentle enough to release the juice without damaging the pips. Both the stems and pips are high in tannin, which is generally not desirable for white wines. The next step is pressing, which is the separation of the liquid and solid parts of the grape. For most white grapes, this is done immediately after the free-run juice is removed. There are certain aromatic grape varieties, such as Riesling and Muscat, that may benefit from a little more skin contact before pressing. Typically, this will last for a couple of hours and has the effect of increasing the aroma and flavour intensity. In either case, pressing will separate the solids from the fresh grape juice, known as the “must”. Afterwards, the fresh grape juice may be clarified in order remove cell fragments. Whether and the extent to which this is done will depend on the grape variety. The cell fragments are a valuable source of natural yeast that will aid in fermentation, though can also impart additional characteristics that will be more welcome with some grape varieties than others. Fresh and aromatic varieties may require considerable clarification, while high-end Chardonnay may benefit from the additional complexity. In any event, the finished wine will be clarified later in the process before bottling. Next: Fermentation, which is the natural process of grape sugars being transformed into alcohol and carbon dioxide by yeast. These yeasts may be native to the vineyard and reside on the grape skin (specifically on the waxy outer surface known as the “bloom”) or may be commercial yeasts added by the winemaker. In effect, this process transforms grape juice into wine. The yeasts will naturally continue to convert sugar to alcohol either until there is no sugar left, or until the wine reaches an alcohol content of around 15%, at which point the yeasts will die. Alternatively, the winemaker may choose to add sulphur to kill the yeast. The winemaker has several options for white wine fermentation, including the type of fermentation vessel, and the temperature at which the wine is to be fermented. 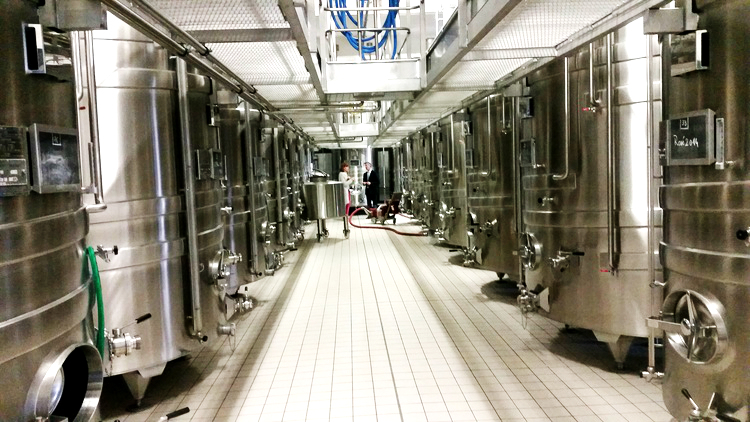 For fresh and aromatic whites, the winemaker will use a neutral vessel of stainless steel or concrete. Here, the characteristic of the grape can be expressed without any other influences. For other varieties, such as high-end Chardonnay, oak barrels may be used to impart complexity of flavour and subtle oak influences. The winemaker may compromise by adding oak staves or oak chips to an otherwise neutral container. The optimum temperature at which to ferment white wine ranges from 12°C to 22°C, lower than for red wine and encouraging a slower fermentation and the development of aromatic character. The lower the temperature, the longer the process will take. White wine fermentation may take as little as a few weeks or as much as several months to complete. It is important for the winemaker to control the temperature, as there will be adverse effects from fermentation at excessively high and low temperatures: Too low, and the wine may develop unpleasant aromas or fail to develop desired fruit aromas. Too high, and desired fruit aromas may be lost altogether. In modern wineries, temperature control is easily managed electronically and is thus not a major worry. After fermentation, the wine is racked and the dead yeast cells, known as lees, are removed. Though the large sediments, known as gross lees, are removed, there are some grape varieties that benefit from extended contact with or later ageing on the fine lees. The process of malolactic fermentation is not mandatory for white wines, though the winemaker may decide that it is appropriate depending on the grape variety. Malolactic fermentation is another naturally occurring process and occurs when lactic bacteria transfer malic acid into lactic acid. Malic acid is harsh and tart, while lactic acid is soft and creamy. This process can reduce the wine’s acidity and make it rounder on the palate, as well as impart flavours such as butter and hazelnut, though this may come at the expense of the more varietal fruit aromas. The winemaker may add sulphur dioxide to stabilise the wine, and now must make a decision on whether, how, and for how long to age the wine before bottling. The wine may be aged in a neutral vessel, in oak, and/or on the fine lees as mentioned above. Lee ageing can impart a variety of flavours including caramel, brioche and vanilla. Decisions about ageing can depend on the grape variety as well as on local regulations in specific wine regions. The winemaker may blend the wine numerous times during the ageing period. 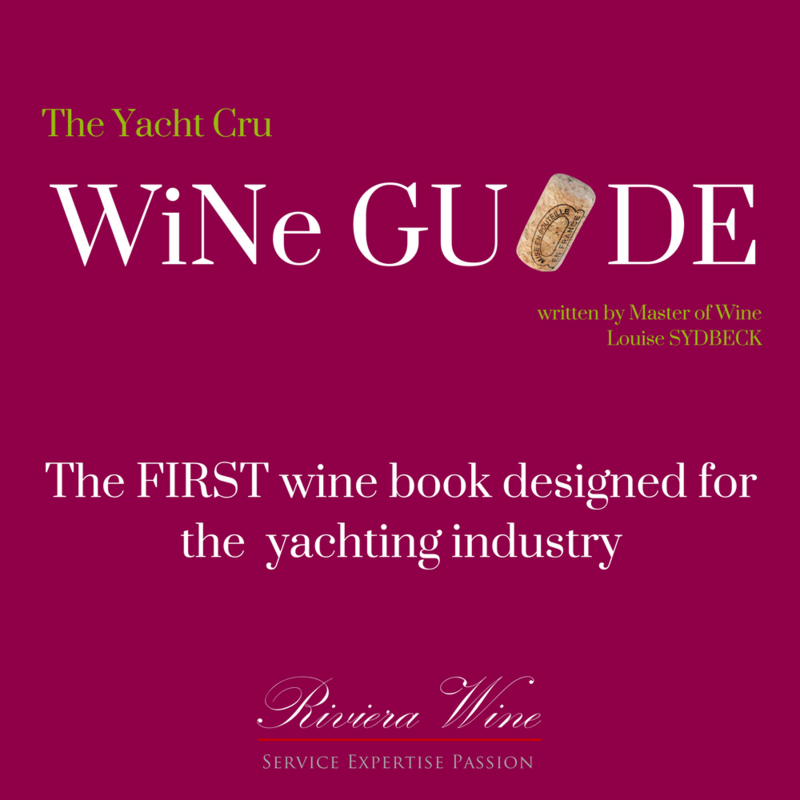 This may involve taking wine made from distinct plots or grape varieties, or simply those vinified in separate vessels and blending them together to achieve a particular style or expression. Blending is necessary if the winemaker is seeking to achieve a consistent style from one vintage to the next, among other considerations. The final decisions involve clarification and stabilisation. Clarification involves removing any unwanted sediment to leave a crystal-clear liquid, and stabilisation ensures that the wine will remain stable and develop as normal when in the bottle. The winemaker has numerous tools at his disposal here: The process of sedimentation removes the remaining lees through “racking”, the gentle process of pumping the liquid from one vessel to another and leaving the sediment behind. Filtration removes solid particles from the wine by passing the liquid through a filter. Fining encourages tiny particles in the wine to band together to form a deposit, and effectively to fall out of the wine. This may be done for the purposes of clarification or stabilisation.